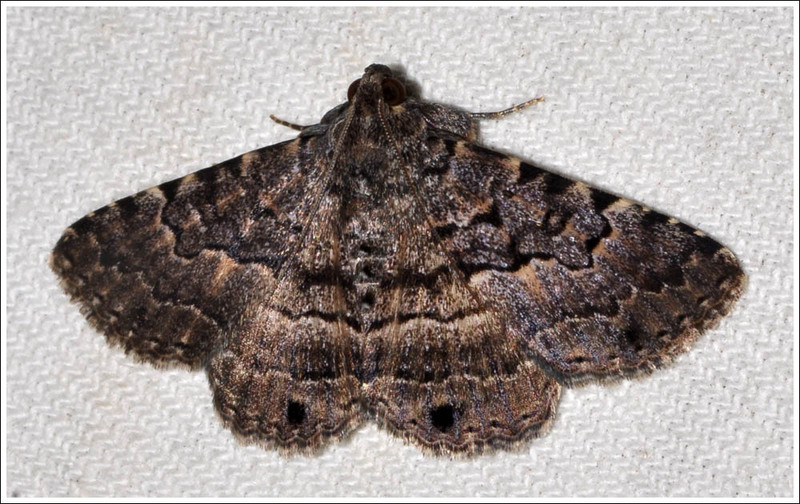 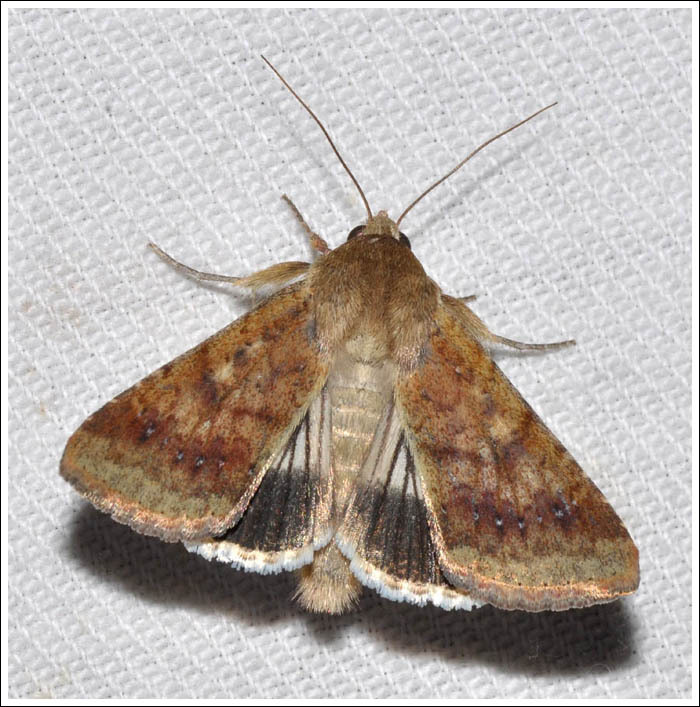 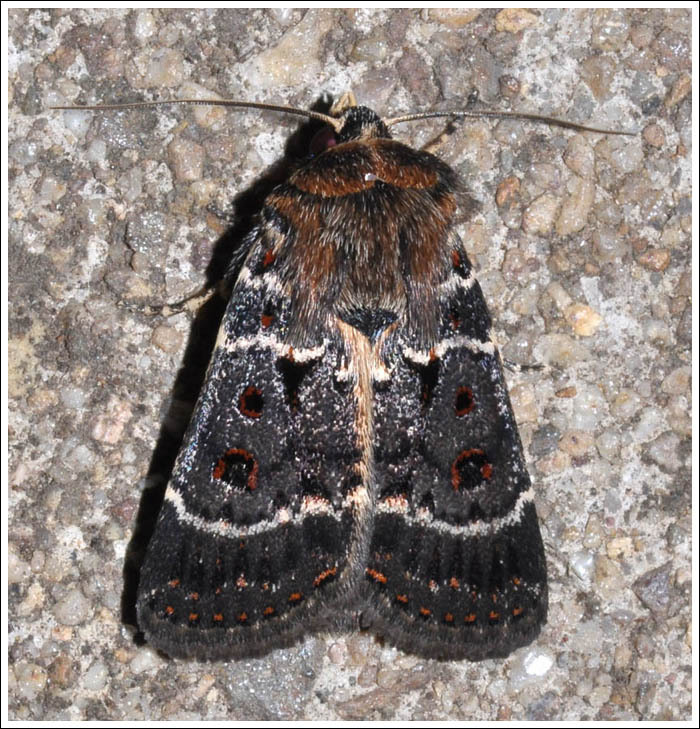 With nights becoming cooler, home moth activity is much reduced, and it is also possible that the climatic conditions that have possibly caused a noticeable lack of butterflies could also be a factor. 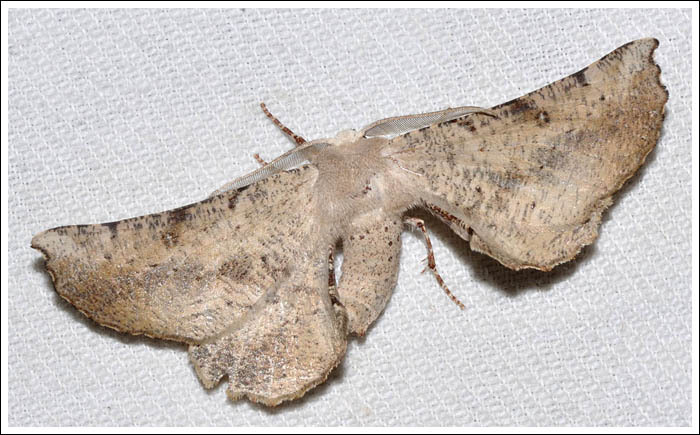 Very few moths of any size came to the light, the best being this nice male Circopetes obtusata, (Oenochrominae) living up to its common description of a twisted moth. This Dysbatus sp(1), MOV 5, (Nacophorini) settled on the concrete and was lucky to escape being trodden on. 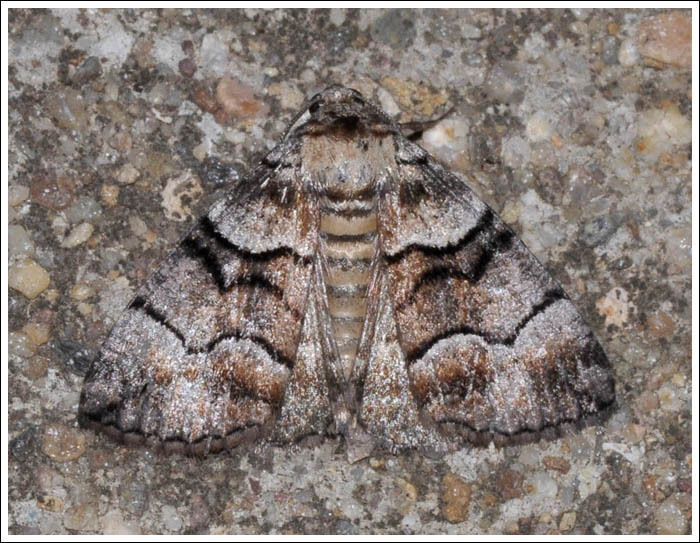 The colour and pattern of this moth is quite a bit out of the ordinary. 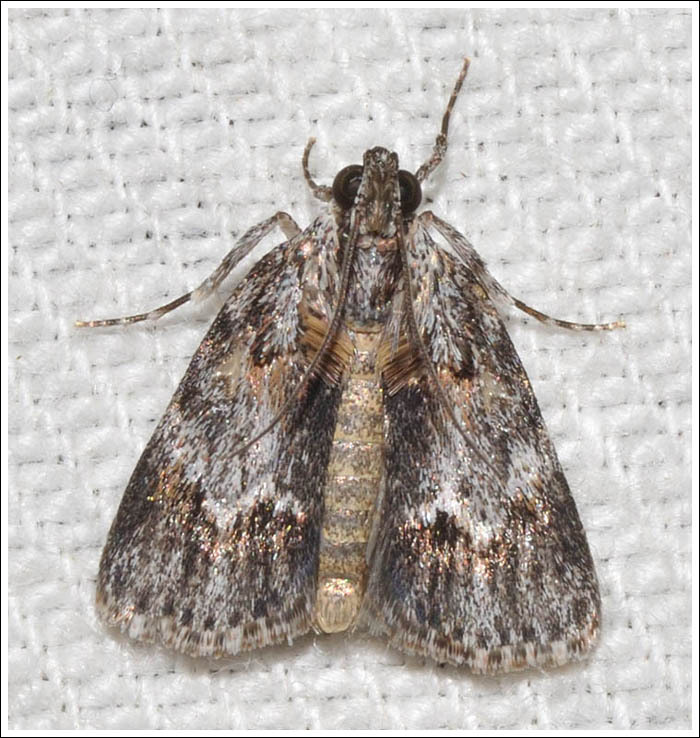 Diatenes aglossoides, (Calpinae) is a common moth in season and can often be found resting in sheltered positions on house walls. 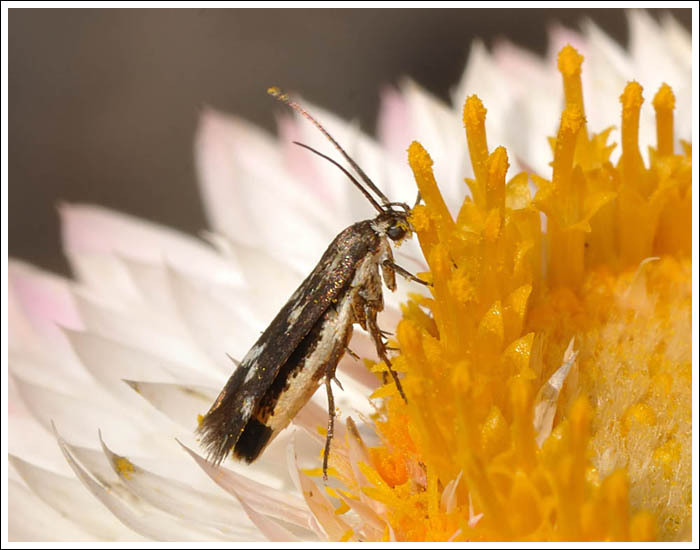 It is an agricultural pest with the larvae feeding on a large range of plants. Proteuxoa sanguinipuncta, (Amphipyrinae) is strikingly marked, the larvae are grass eaters. 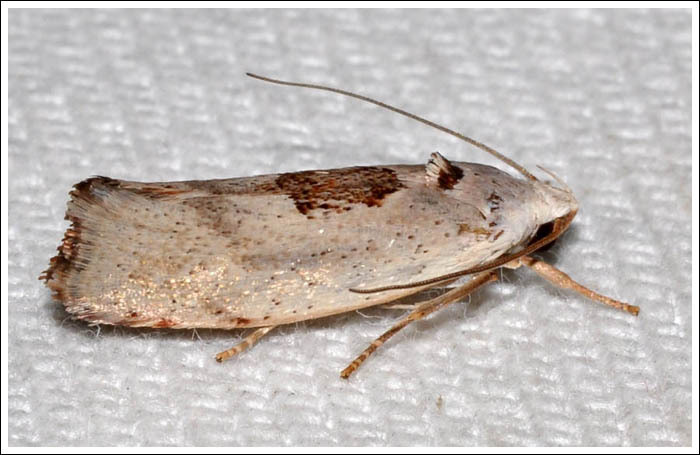 Quite a number of Spectrotrota fimbrialis, (Pyralidae) came in, varying in appearance. 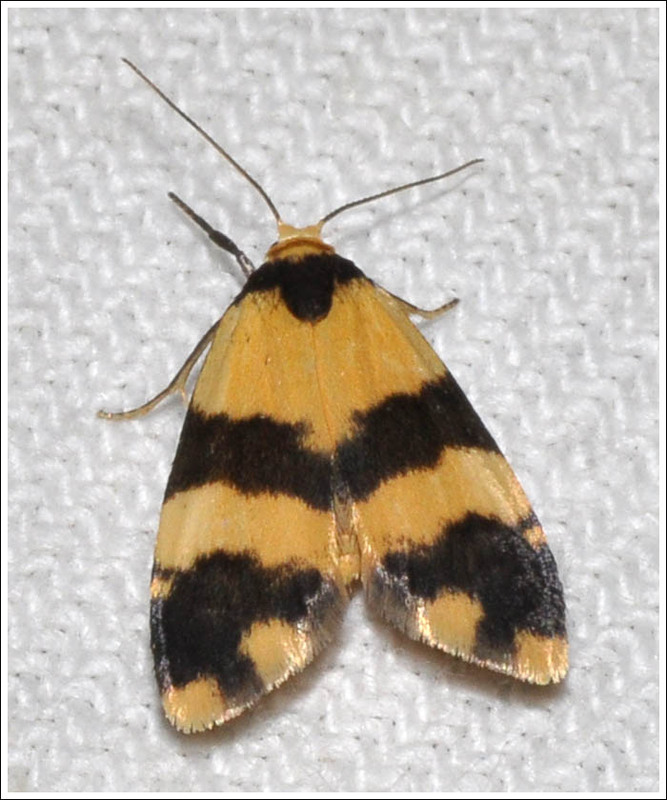 Thallarcha chrysochares, (Lithosiinae) is known as the Tiger Footman, this is a nice female. The larvae of this small timber moth, Tymbophora peltastis, (Xyloryctidae) feed on gumleaves. 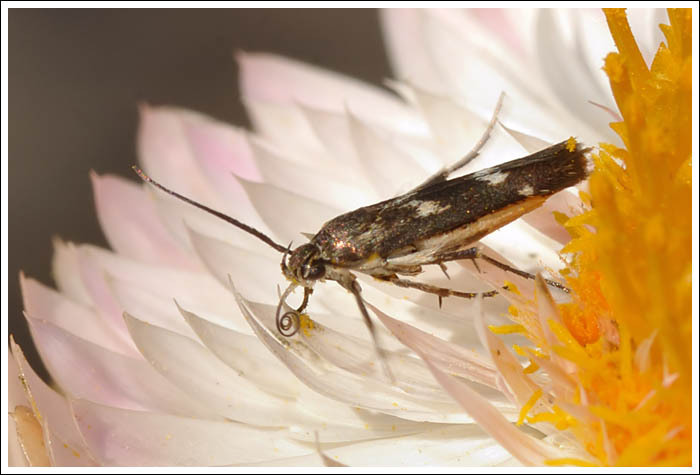 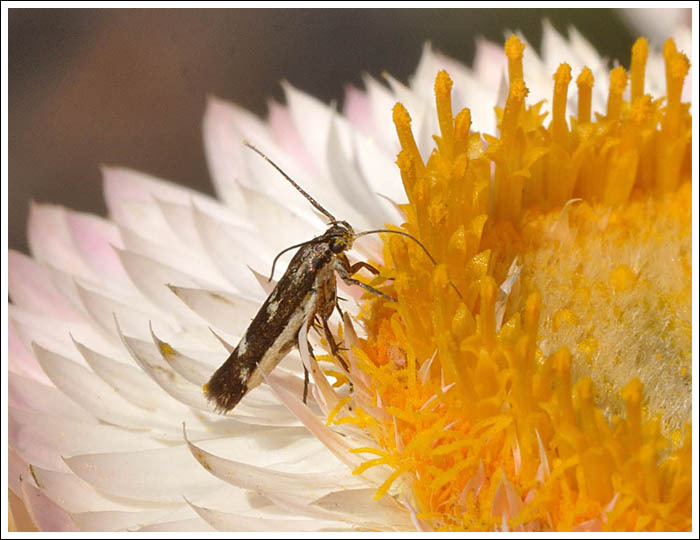 Further to the previous post, more came to the Xerochrysums, and one allowed an extended view that showed these tiny moths feed on nectar, as the following images show. 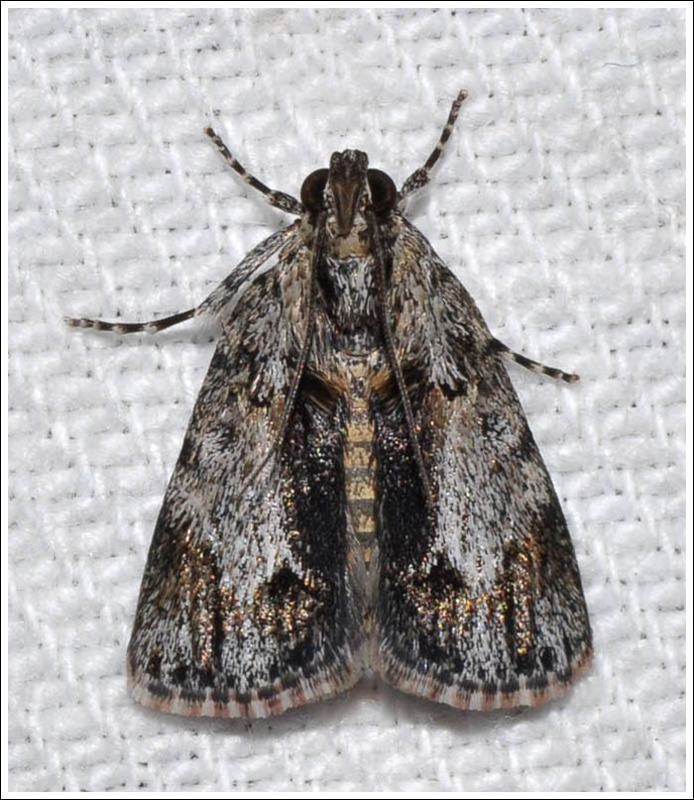 Posted on February 14, 2019 by PholodesPosted in Moths.